Truck platooning is a relatively new technology. Professional drivers often wonder, how different is it to be behind the wheel of a truck that’s actively platooning? To answer that question, we went straight to the source: the experienced professional drivers who daily test the Peloton truck platooning system. Both trucks in a platoon are equipped with a radar-based collision avoidance system, tractor air disc brakes, and trailer ABS brakes. 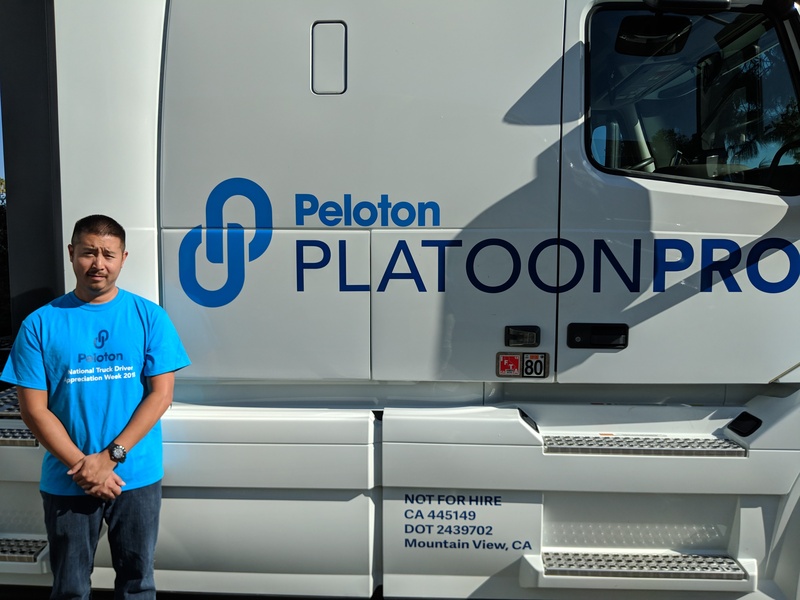 Drivers must complete Peloton-approved training before they can platoon, in addition to meeting all the same training, certifications, and hours-of-service requirements as non-platooning drivers. Platooning can take place only on multi-lane divided highways that have been approved by Peloton, and in fair weather and light traffic. The Peloton system will automatically disable a truck’s platooning capabilities and return the driver to a safe non-platooning following distance if weather conditions turn bad or if traffic gets too heavy. Enhanced situational awareness and responsiveness for increased safety while platooning. Fuel savings estimated to be 7.25% for a two-truck platoon at 65 mph: 4.5% for the lead truck and 10% for the follow truck. Peloton test driver Derrick Loo can attest to all three benefits. Compared to his previous driving career, Loo says he appreciates working as a team with another driver. “We keep each other safe on the road, and it’s nice knowing we don’t have to spend all our time listening to the radio for company anymore,” he says. In the end, driving as part of a truck platoon is not that much different from driving a regular truck. For the skeptics who might see platooning as a threat to professional drivers, Dave Mercer can help set their minds at ease. 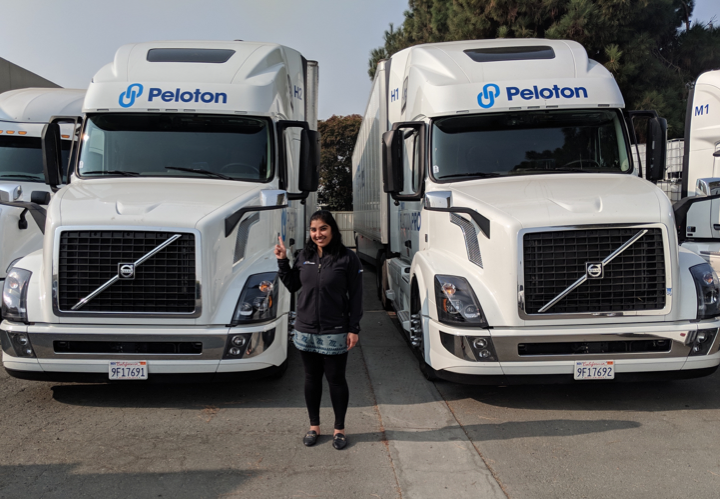 Visit the Peloton website to get more information on how platooning works for drivers.